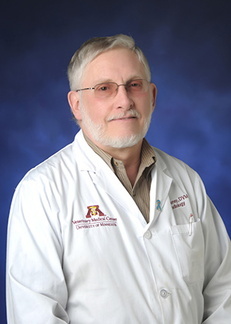 Daniel Feeney, DVM, MS, DACVR, professor in the Department of Veterinary Clinical Sciences at the University of Minnesota College of Veterinary Medicine (CVM) recently received the highly prestigious J. Kevin Kealy Award from the International Veterinary Radiology Association (IVRA). The award, established in 2003, is named in honor of Emeritus Professor J. Kevin Kealy, organizer of the first meeting of the IVRA, the first President, and an Honorary Member of the association. It is presented only once every three years at each IVRA meeting, and is given to a member of the association who has made substantial published scientific contributions to veterinary radiology. Feeney has more than 40 years of radiology experience. He received his DVM from Colorado State University, graduating with highest distinction. He completed a small animal rotating internship at Purdue University and completed his master’s degree and radiology residency at the University of Georgia. Feeney’s special interests include the use of imaging techniques (particularly radiography, ultrasonography, and computed tomography) to conduct medical work-ups and investigate spontaneous disease.